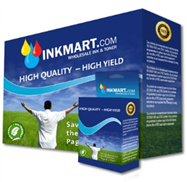 Premium Quality CB334AN Black Inkjet Cartridge compatible with the HP Deskjet 4140. The use of compatible supplies does not void your printer warranty. Premium Quality C8842A Black Print Cartridge compatible with the Apple Color StyleWriter 6500. The use of compatible supplies does not void your printer warranty.